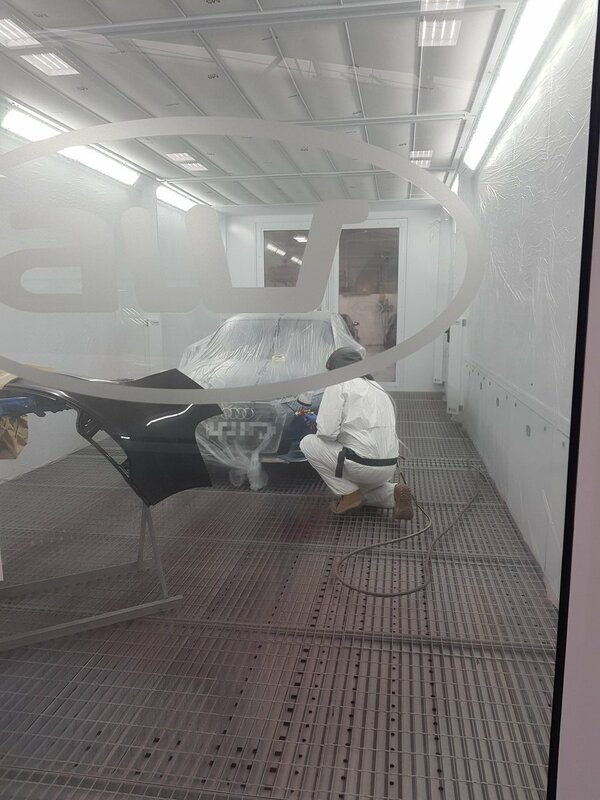 Award-winning body shop chain, AW Repair Group, chosen Junair once again to replace existing paintbooth operations. 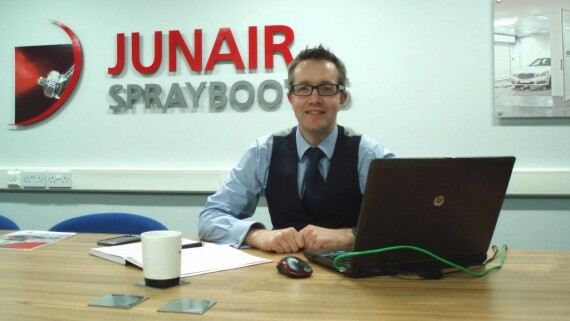 Having installed a Junair 3 Series at their last two new ventures, Junair Spraybooths have seen an increase in throughput and decrease in costs as they embarked on a complete strategic replacement programme. 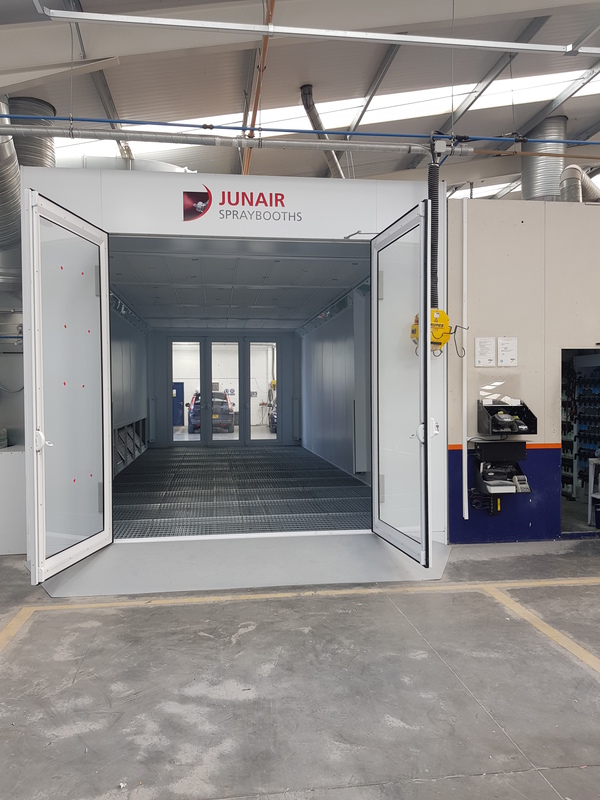 The Sleaford, Lincolnshire prestige manufacturer site was recently installed with a double length Junair downdraught drive through booth completing the three-phased upgrade scheme. The double length allows two vehicles in two different colours to be sprayed in the same booth without the risk of cross contamination, and by using Junair QADs, an auxiliary air drying system, the cycle time is shortened and less energy is used. Although a double length drive through spraybooth is more costly than a normal standalone spraybooth, it costs significantly less than 2 new spraybooths and improves efficiency as well. A previous AW Repair Group replacement in South Yorkshire has also seen the drive through 3 Series increase productivity by 4 jobs per day. 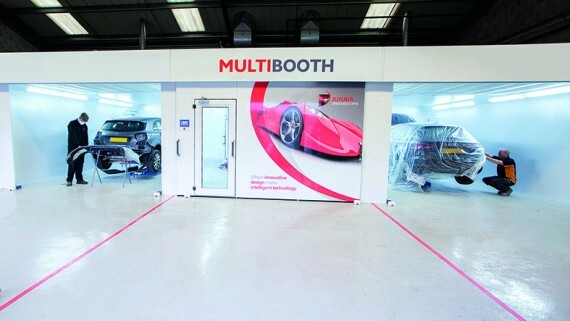 As well as this AW sites have reported that spray booth operating costs have been reduced by at least a third, so it’s easy to see why managing director Andrew Walsh was keen to install a 3 Series in their Sleaford head office. 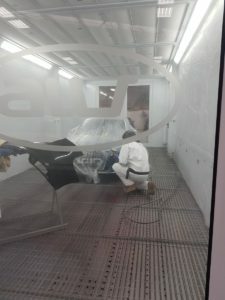 The drive through nature of the spraybooth means that work flow through the bodyshop can be optimised; preparation work can be confined to one side of the body shop whilst polishing and final touches can be completed at the other end making for a more efficient process. The new spray booth is operated using the new eSystem controller, an easy to use Siemens PLC control system offering the user a straight forward method of operating the spraybooth. It uses the latest Siemens technology ensuring that AW have the most reliable control system possible. 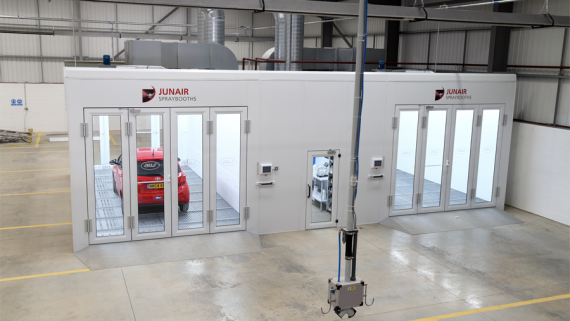 Have you been inspired to upgrade your body shop with a brand new automotive spraybooth from Junair? Get in touch with our team to find out more. 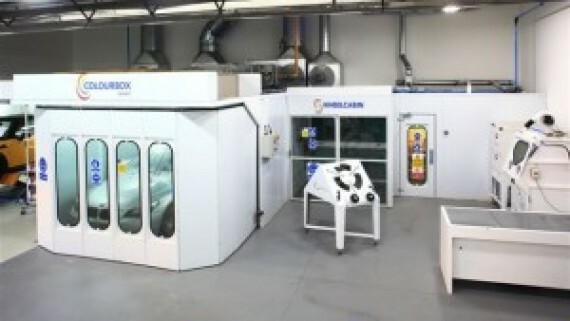 Junair Spraybooths are a leading supplier of spray booths and paint finishing systems. Every order received is treated as a new project and is drawn up in CAD to ensure the best solution for your bodyshop. For more information on our latest technology contact the team on 01706 363 555, or contact us online and an expert adviser will get back to you as soon as possible.